An exploration of the Villancicos and Xacaras in the 16th and 17th centuries from Spain and the New World (Mexico and Guatemala). Works by Juan del Encina, Juan de Araujo, Fray Francisco de Santiago and Rafael Antonio Castellanos. 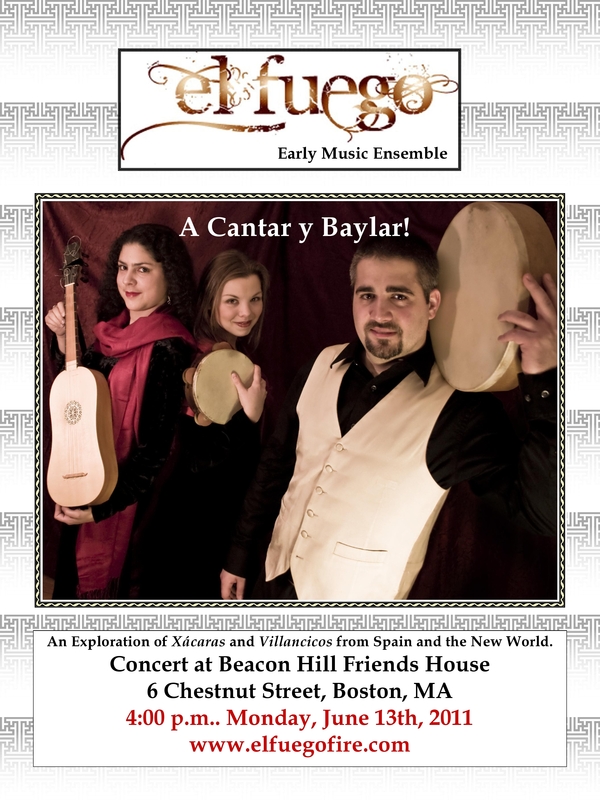 James Dargan, voice and violin; Teri Kowiak, voice; Dan Meyers, recorders and percussion; Camila Parias, voice; Zoe Weiss, viola da gamba; Salomé Sandoval, voice, baroque guitar and direction. I got to hear the preview concert this past week and it was excellent. If you’re in the neighborhood or if you’ve got some free time please come by and hear this concert, it is outstanding. I’ll be working the door so come and say hello to me as well.